Grace Swal is One of Ten. Angela Graves was one of ten in 2016. Donald Cooper was one of ten in 2017. Now, Reynolds Community College Honors student Grace Swal is one of ten in 2018. For the third consecutive year a Reynolds student has been chosen to be a Valley Proteins Fellow. Of the more than 250,000 students served by Virginia Community Colleges each year, only 10 second-year students are selected for the prestigious Valley Proteins Fellowship Program administered by the Virginia Foundation for Community College Education. “I failed the first time out,” Grace Swal says candidly about her first attempt at college ten years ago. “This is my second chance.” And, what a second chance it is for her. Grace was accepted into the Reynolds Honors program, has maintained a 4.0 grade point average during her time at Reynolds, and now in her second year has been selected as a Valley Proteins Fellow. Perhaps what Grace views as a failure is at the root of her amazing success. The Valley Proteins Fellows program is made possible by the generous support of Valley Proteins, Inc., a Winchester-based rendering business operating for over 68 years with 15 plants in eight states. Valley Proteins management is committed to outstanding corporate citizenship, excellent customer service, technological innovation and support for the community college mission. 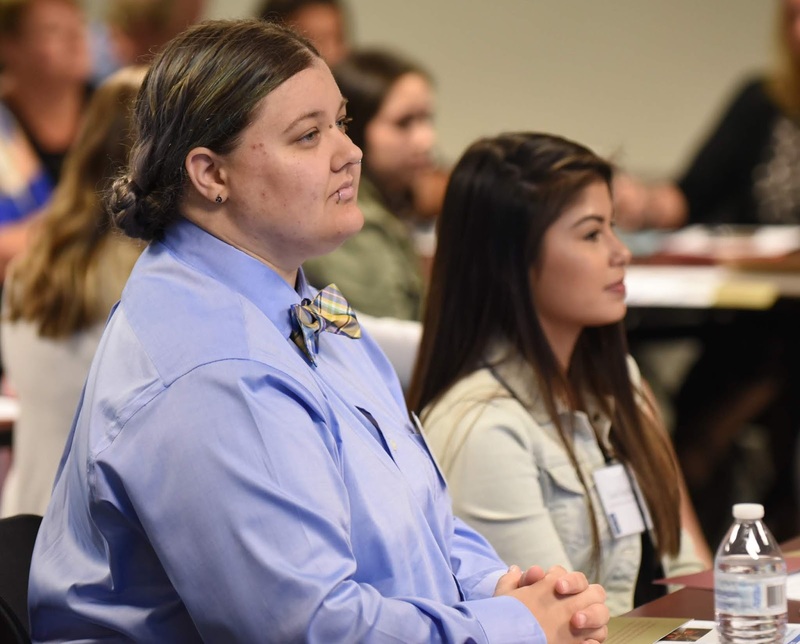 The core mission of the Valley Proteins Fellows Program is helping promising, second-year students at Virginia’s community colleges pursue their academic goals and strengthen their leadership skills. The scholarship, combined with professional development, travel, and cultural opportunities, has an approximate value of $15,000. Fellows receive full tuition, book expenses and fees, and participate in a unique curriculum of intellectual and cultural activities. They also volunteer 80 hours of community service during the academic year to strengthen their leadership skills and develop a strong foundation for future success. Fellows are required to maintain a minimum 3.5 grade point average. Congratulations to Grace Swal. Keep shooting higher. J. Sargeant Reynolds Community College is the youngest and third largest of 23 community colleges in Virginia and serves over 16,000 students annually. The College operates three campuses easily accessible to residents in the City of Richmond and the counties of Henrico, Hanover, Goochland, Powhatan and Louisa.